Single storefront – products from different vendors appear in the common product catalog. Unlimited number of vendor accounts. If there are products from different vendors in one order, then this order is divided into several ones automatically (the quantity depends on the number of vendors supplying the purchased goods – one order per each vendor.). Separate administration panel for each vendor where he can manage his products and choose necessary settings. Common payment processing – all money goes to the root administrator's account. Then the root administrator distributes funds among vendors manually according to the orders history. Payable amounts are tracked separately for each of store's vendors. The root administrator has the full access to the store and all vendors’ actions. 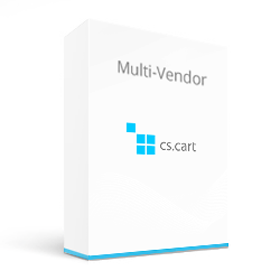 Vendor-specific shipping methods – every vendor can set up his own shipping methods. The customer whose order contains items from several different vendors can select vendor-specific shipping options at checkout.